Aras Scimemi has caught all 145 Pokémon currently available in Pokémon Go. He’s not the first to do so, but the story of how he got them is a little more harrowing than others. 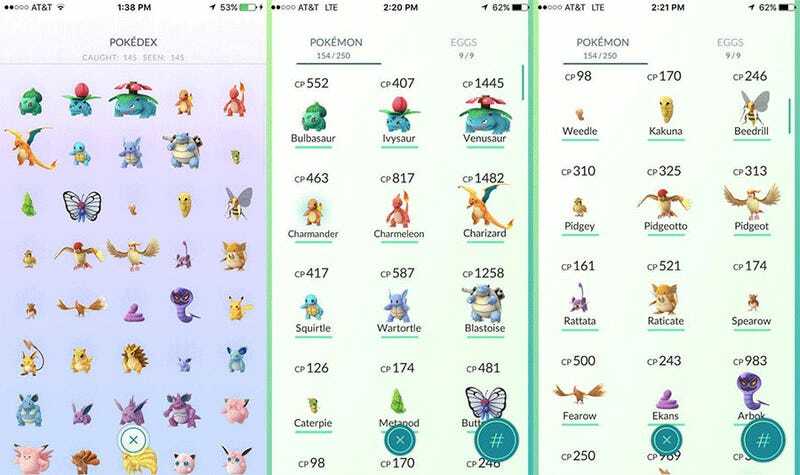 A 20 year-old computer science student at the University of Virginia, Scimemi started playing Pokémon Go as soon as it was released. After catching a few types and making it to level 4, though, he “kind of lost interest” and let the game slide. His family soon went on a vacation to Turkey, and with time to kill he revisited the game and got hooked. The apartment his family were staying in, on the Asian side of the Bosporus in Istanbul, was not just right by the water but always had a cluster of three lures around, so simply by walking around the local neighbourhood (and grinding a lot of Magicarps) he soon managed to get every water Pokémon. Everything was going just fine. Scimemi says he “walked around, hatched eggs, swiped at Pokéstops, caught more and more [Pokémon]”. The nearby lures even “brought a bunch of great Pokémon, including a surprising appearance by Mr. Mime”. A reported coup by military officers rocked the city, and brought chaos to the streets. “Unfortunately, my parents had gone to see a concert on the opposite side of the city and I couldn’t reach them at all.” He spent a frantic six hours waiting for them before they finally made it back, at 4am the next morning. Scimemi shared the above image, showing a book store down the street from their apartment. In all, he estimates he caught around around 900 pocket monsters in total (counting duplicates for transfers, etc) while in Turkey. Once he flew back to Washington DC, he only needed another 400 before he’d managed to collect ‘em all. While he admits he got lucky with a few of his egg hatches, in general he says he was able to get most Pokémon just by finding and staying around lures, which seemed to attract many of the rarer ones he couldn’t find otherwise. So what next? What happens when, for now at least (six of the original 151 Pokémon are being held back for later release), you have literally caught them all?